Tradition plays an important role in the perceived quality and reputation of a luxury vehicle company. While some automakers such as Lexus seemingly sprang to life fully-formed overnight, others such as Land Rover have been working diligently for well over 50 years to provide their customers with some of the most comfortable and most capable vehicles on the planet. The Land Rover Range Rover is one such example. There are two engines available in the Range Rover. The first is 305 horsepower, 4.4 liter V8 that is more than adequate for propelling this handsome sport utility vehicle down the road. For drivers who prefer a little more power in their exotic SUV rental Atlanta, there is the option of a supercharged 4.2 liter V8 which increases horsepower to a more excessive 400. Naturally, the supercharged Range Rover is much quicker both in terms of top speed and acceleration. However, when it comes to luxury and capability, both versions of the truck excel. 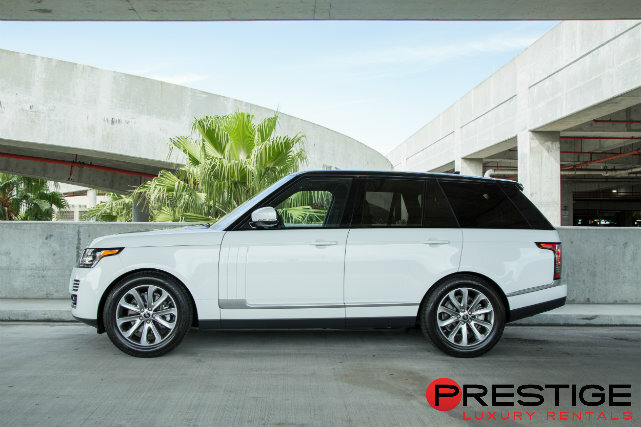 Each features a six speed automatic transmission for ultra-smooth shifting, and air suspension helps the Range Rover overcome even the deepest rivers or tallest obstacles. A number of electronic systems also work together to ensure that the Range Rover remains surefooted in the least hospitable of driving conditions. Inside the vehicle, three zone climate control keeps all passengers comfortable, and off-road GPS navigation system helps to keep Range Rover drivers in touch with civilization no matter how far they may actually be from it. Exquisite leather seats and wooden interior trim help to add a uniquely British feel to this luxury SUV. The Range Rover is a great luxury car rental for those who not only want to spend a night out on the town, but who also want to take a weekend and camp out under the stars.